Maybe we can get hammer to make this a sticky along with the other one he put up there the other day. 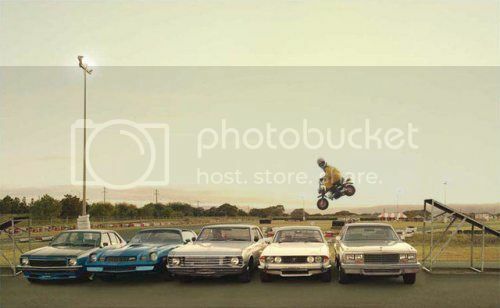 Then everybody can keep posting all the old school moto pics they have personally taken or collected off the 'net. 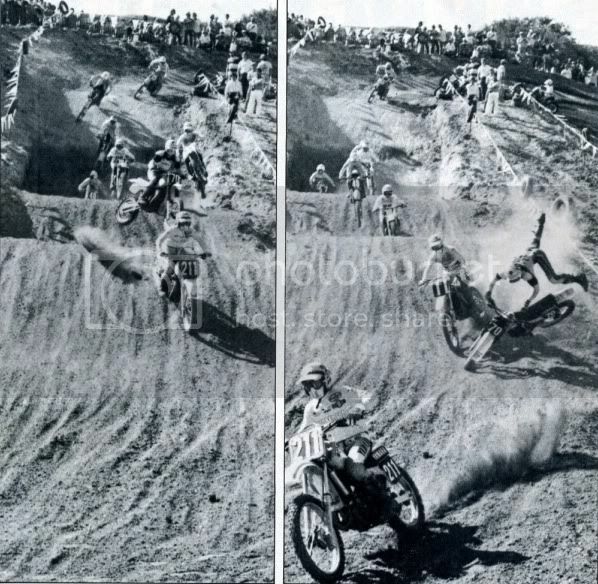 I think Steve66 should start an old school moto trivia thread for us. I know I've spent a couple days sometimes, trying to guess who is in his pics or the questions that go along with them How about it?? Yep Eddie Warren he made alot of headlines in 85,I always thought those DMC kx's looked really cool,.....................I never saw Saddleback in person either it always looks impressive in photos with the dramatic elevation changes and big doubles and steps ups,you paid the price if things went wrong as Mike Beier #70 finds out in this pic,..................This 125 moto is led by former mini star #211 Troy Blake who sadly passed away just recently, RIP Troy. pic scanned from mxa mag. Justpinit,I'll try and post up some more stuff,I try to go for riders that are maybe not quite as well known to try and make it interesting....anybody care to try and name the players in the saddleback 250 start pic on the previous pg?......oh well I gotta go to work now,I'll check tonight.